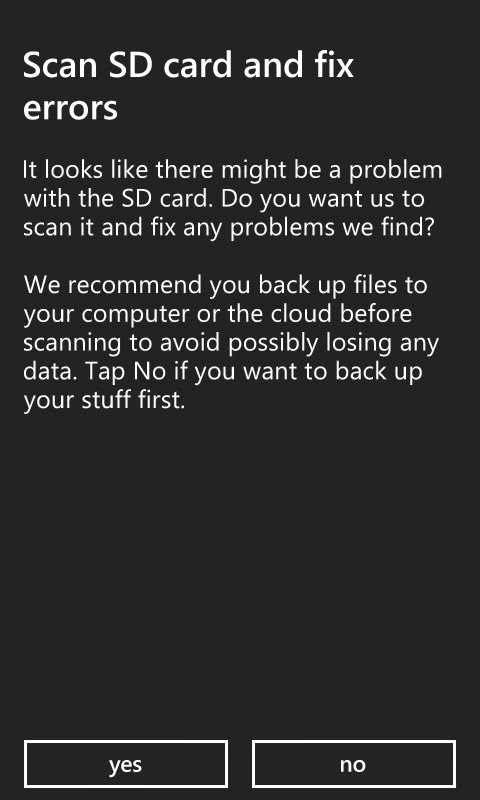 Last week we created a poll "Are you facing SD CARD errors on Windows Phone? " on our Facebook group. 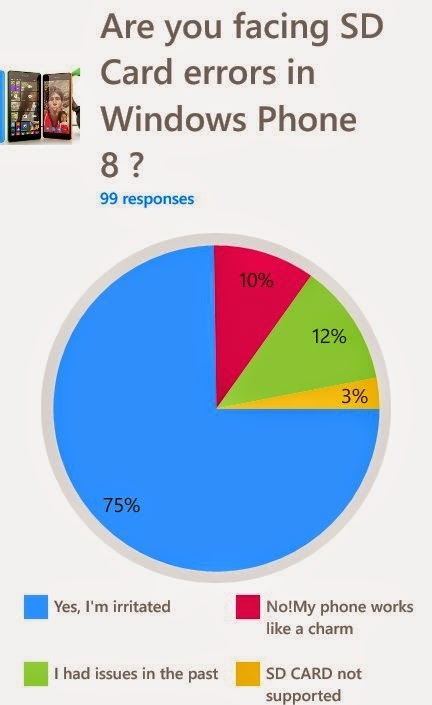 We received a number of mixed responses (99 in total) from the users on this issue. 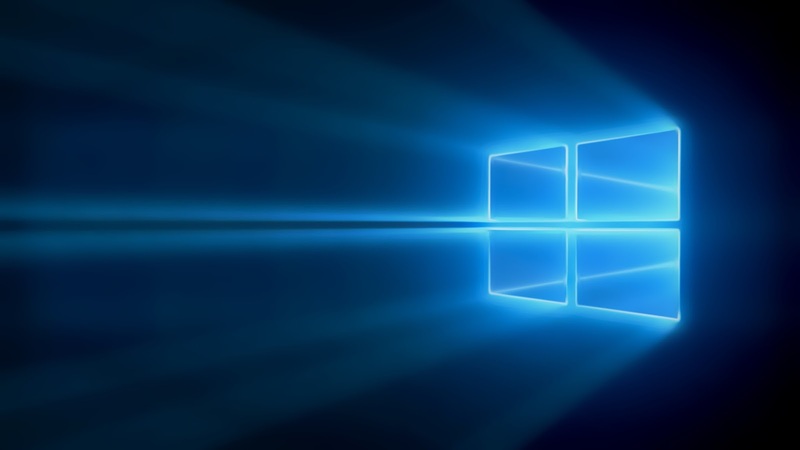 While, Microsoft has been very generous and busy pushing out updates to Windows Phone from time to time addressing common problems, incorporating new features, fixing bugs and improving overall user experience, one subject that has been less tackled or focussed is "SD Card error". With this said, we cannot blame Microsoft entirely not providing a fix because most of the time it is the user who creates such error unknowingly while using a SD card. As you can infer from the picture, about 75% of the users are still facing this error, while some had errors in the past and they got rid of it naturally. Also, there are lucky users who do not face any error at all and the SD Card works fine on their phone. 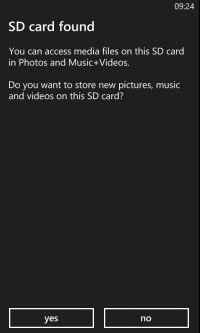 Lastly, some windows phones from Nokia/Microsoft do not support an expandable storage. In this post, i am going to share some possible fixes and what precautions you should take while you connect your phone/sd card to a computer. 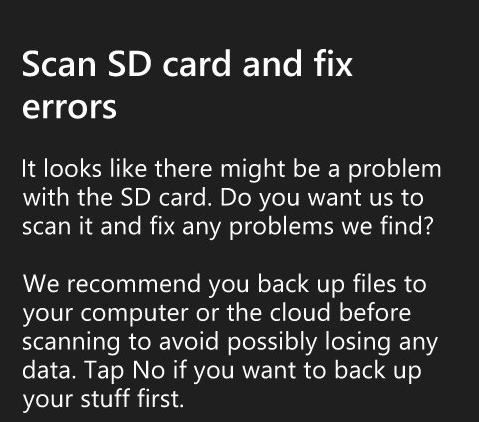 If you get the error message "Scan SD card and fix errors", i suggest to tap "Yes" because your phone has the capability to eliminate such errors. But, before you proceed , do copy your stuff to some safe place on a computer. Alternatively, if the above method doesn't help, you can take out the SD Card from the phone and put it into SD CARD adaptor and plug in the adaptor into the Computer/laptop. 1. 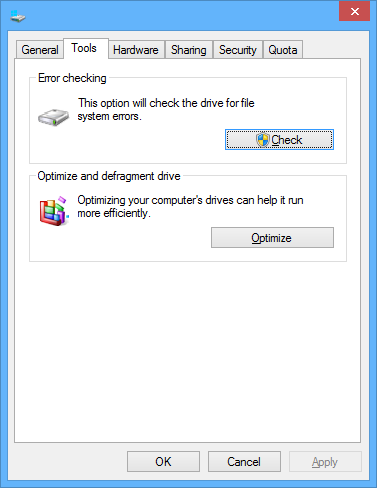 Go to My Computer/This PC, right click on the SD CARD, click on properties. 2. click on tools tab. Here you will find two sections, Error checking and Optimize. 3. Click on "Check" in error checking. A message will pop up as shown in picture, click on Scan, and wait for the scan to complete. Do not pull out the SD Card/other external devices from the computer thinking it doesn't affect it. If you unplug your device while data is being written to it or while you are saving a file to it--this can result in DATA CORRUPTION. However, even if the device doesn't appear to be in use, it may still be in use. A program in the background may be writing to the drive--so data corruption could result if you unplug it. So, to be safe, it's a good idea to use safely remove device option. Now you can remove SD Card from the computer, remember "SAFELY REMOVE DEVICE" option? After you safely remove the SD Card from computer, put it in phone and turn it on. After boot up, if you are lucky and saved yourself from error message , a different message like "SD Card found" will pop up, simply tap "Yes" and you are good to go. If you are still facing error, don't forget to comment. Thanks!